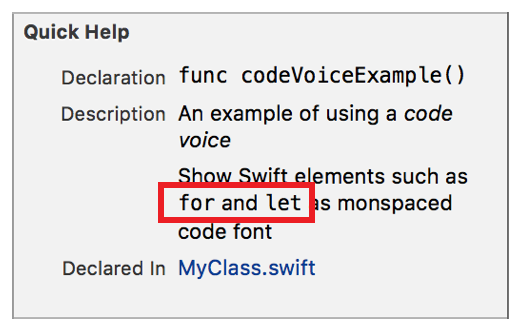 Render a span of text using the font for code voice. Format a span of text as code by using a backquote (`) before the first character of the span and after the last character of the span. The first and last characters cannot be spaces.